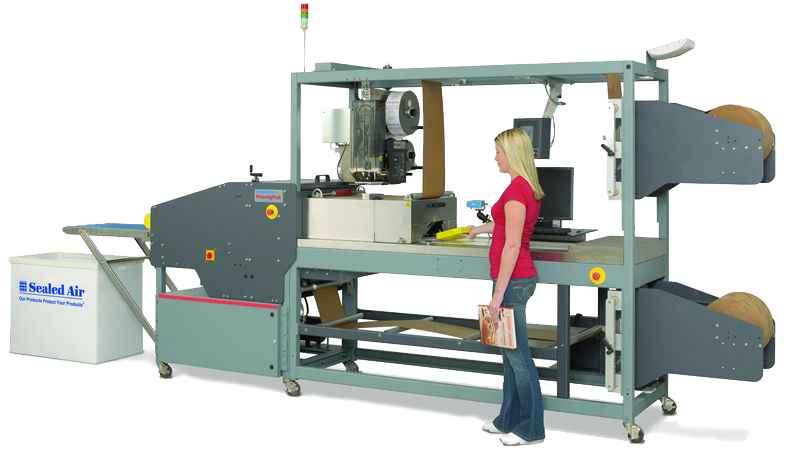 Valtim Utilizes a High-Speed Solution that Encapsulates Products in a Ready-to-Ship Protective Package. The Priority Pac-Sealed Air Technology is best used when you are trying to connect with your member by having a personalized letter on the inside of the package that matches a label on the outside of the package. Creates a compact, custom package that reduces postage costs compared to packaging with corrugated cartons and void-fill materials. This system encapsulates your products in a Cold Seal® cohesive-coated protective package that locks and seals products in place to minimize shifting; providing protection from the rigors of shipping and handling. Create brand awareness (logo) on the outside of the package to mirror the personalization on the inside of the package.